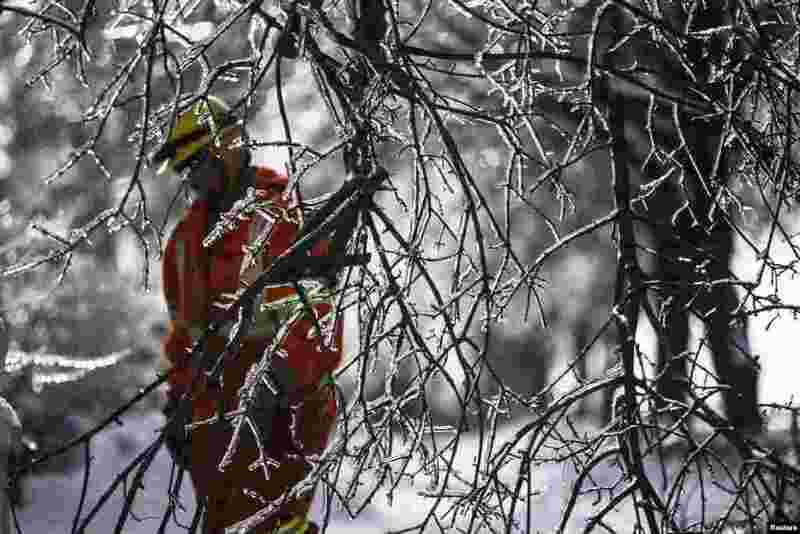 ١ A Toronto Hydro worker tries to restore power, behind frozen tree branches, in the Scarborough suburb after an ice storm in Ontario, Canada. Over 30,000 residents have been left without power since the storm hit on Dec. 22, local media reported. 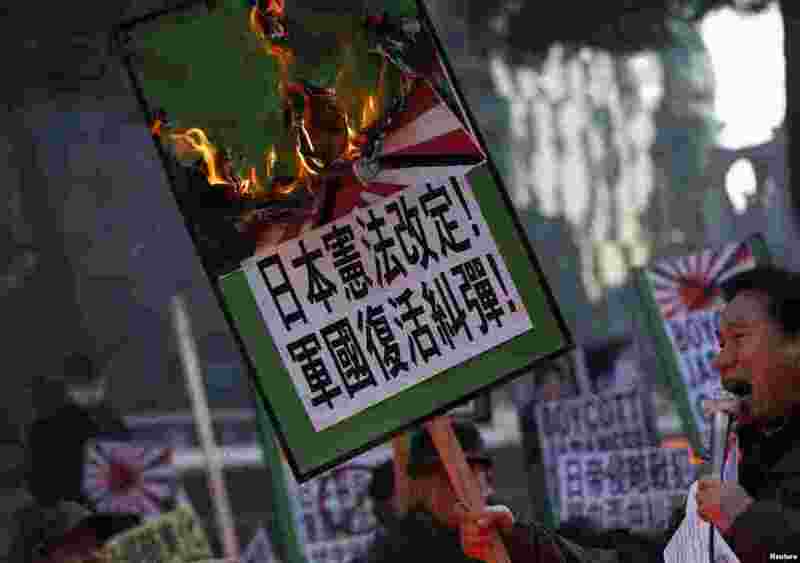 ٢ A protester from a right-wing, conservative and anti-Japanese civic group chants slogans denouncing Japanese PM Shinzo Abe's visit to the Yasukuni Shrine as he holds a placard that has been set alight, in front of the Japanese Embassy in Seoul. 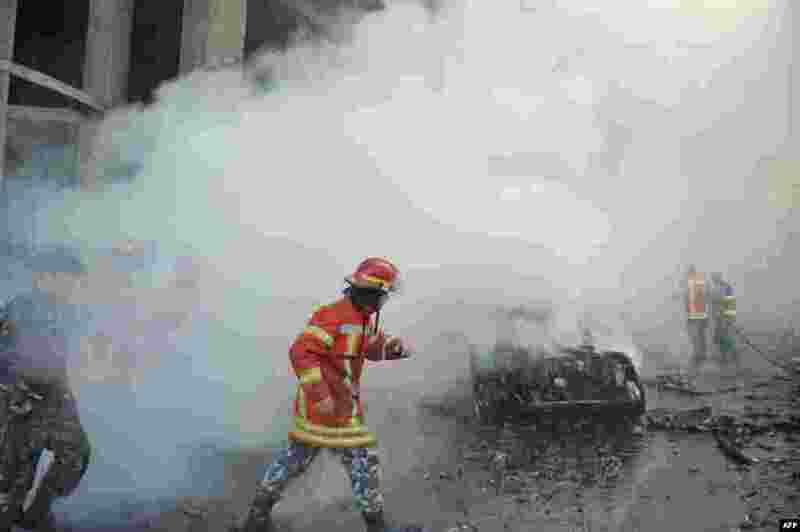 ٣ Lebanese security forces and firefighters inspect the scene of a a car bomb explosion that rocked central Beirut. The huge explosion killed Mohamed Chatah (Shatah), former finance minister and adviser to Lebanese ex-premier Saad Hariri and left at least five people dead and dozens injured. 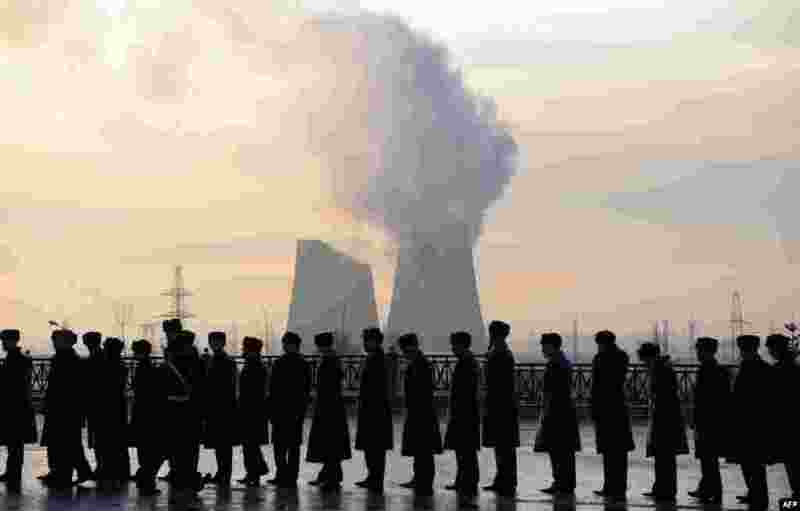 ٤ Russian soldiers stand in line to pay their last respects to Mikhail Kalashnikov, the designer of the iconic AK-47 assault rifle that was the favored weapon of guerrillas worldwide, during his funeral ceremony in Mytishchi outside Moscow.